Total retail sales in the UK was expected to increase by 4.2% in 2017 to £433.07 billion. 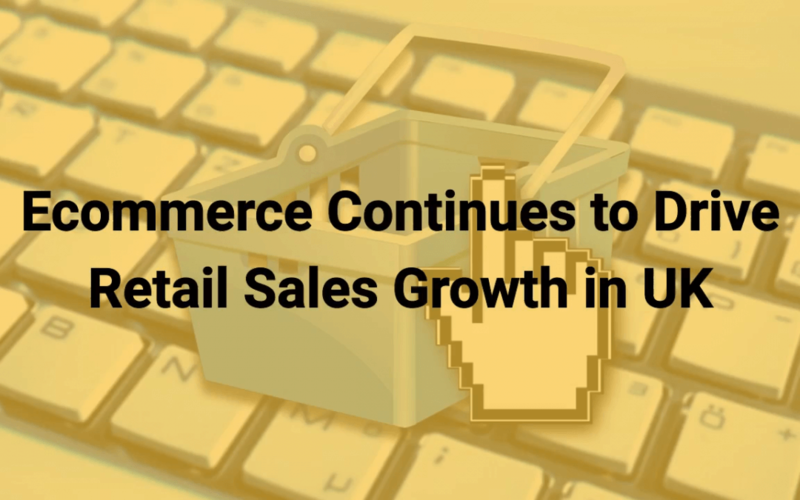 It continues to grow, driven mainly by mobile commerce. eMarketer estimates UK retail mcommerce sales will rise by 14.2% between 2017 and 2021. Purchases made online via mobile devices will make up well over one-tenth (13.4%) of total retail sales. In 2017, mobile phone sales in the UK were forecast to outpace sales on tablets for the first time. Mainly as a result of consumers becoming more accustomed to making higher-value and on-the-go purchases via their phone. However, as consumers become more careful of their spending ahead of the decision on Brexit, growth is likely to slow down in 2018.
eMarketer estimates in 2018, retail ecommerce sales will reach £93.82 billion representing more than one-fifth of total retail sales for the first time. By 2021 it will exceed one-quarter of the total. Although ecommerce purchasing is spread among nearly all age groups in the UK, the strongest growth in adoption will come from the oldest consumers (ages 65 and older). Ecommerce buyer penetration is expected to surpass more than 50% for the first time in 2018. Mcommerce sales in the UK are quickly approaching half of the country’s retail ecommerce market. By 2021, purchases made online via mobile devices will account for 51.7% of total retail ecommerce sales, up almost 20% compared to 2017. Bricks & Mortar or Online Store? You can’t afford to ignore the importance of Mobile for your future success!